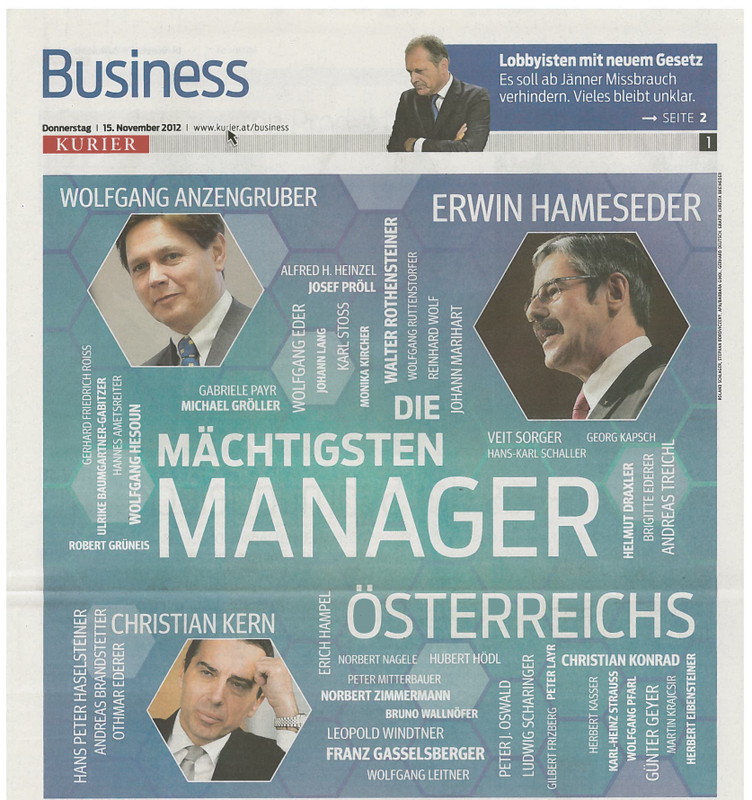 Find the Top 10 of the FAS Manager Ranking and an interview with Harald Katzmair in the “Business – Kurier” article from November 15th 2012. This article features the FAS Manager Ranking 2012, including the managers of the financial sector. The highly anticipated ranking has been partly published in the Industriemagazin November issue: “Die neue Macht-Elite”. “Partly” because the editorial board of Industriemagazin decided to remove all those managers not directly associated with the industrial sector. This means that members of financial organizations, e.g. managers of Raiffeisen, will not show up in the ranking published in the Industriemagazin. Download Article Industrimagazin: "Die Spielregeln bleiben dieselben"